Obama, Biden, McCain, Palin… no matter who you favor in the upcoming election, most of us will be voting for the candidate we feel can best turn around America’s troubled economy. Over the past few years, I’ve felt the pinch every time I go shopping for groceries or fill my car with gas. And my book, Waterside Cottages, has been put on the list of books that may be postponed for publication for a year or more! I’m pretty sure there’s nothing I could have done differently as I’ve done everything that was requested or expected of an author. Perhaps, if Gibbs Smith sees how much interest there is in Waterside Cottages, they might move it from the “POSTPONED TITLES” list to the “ROLL THE PRESSES” list. Here’s where YOU come in. Since many of you have expressed a passion for coastal style decorating and have indicated that you plan to order one or more copies of Waterside Cottages as soon as it is published, I wonder if you’d do me a favor? Please VOTE for me by posting a comment telling Gibbs Smith you’d like to see Waterside Cottages published – now! I will then forward all of your comments to Mr. Christopher Robbins, the CEO of Gibbs Smith. In the spirit of November’s election, I’d like to be the winner who never quit, rather than the quitter who never won. I truly appreciate your continued support and friendship. Please stop by Today's Creative Blog and shop for one-of-a-kind handmade gifts. Proceeds of this fabulous silent auction will help a family who desperately need your help. So shop til you drop and feel good about it. Barbara - I definitely think your beautiful book should be published soon - so we can all enjoy it! Waterfront Cottages looks great! I would like to own one and give it as a gift. Please publish it soon. this is one of my favorite web sites- Go Barbara!! I've been looking forward to your new book! I know it will be absolutely lovely! Wow, our mouths have been watering for your book release for months only to now learn that this is one drink we won't get for at least a year? Despite a rough economy, I think this is precisely the time we need books like yours as a welcome respite from it all. I hope the publication date gets moved up. Good luck! Gibbs Smith is missing the boat on this one, Barbara! As an avid fan of yours, I and several of my friends have been waiting for Cozy Waterside Cottages to be published ever since I heard about its inception. I hope Gibbs Smith reprioritizes your book onto the top of their list for publication soon! I hope to see this book on stands very soon! I've been hearing about your book for quite awhile (and not just from you, btw) I've been looking forward to getting a copy--yes, times are tough economically, but beautiful books are a great escape. see what a loyal readership you have! I have been looking forward to Barbara's book for months and months. "Waterfront Cottages" looks to be a big winner. As with all of Barbara's past work, it will be lovely and will surly be a must have. I am a great collector of such books and had planned to purchase one for myself and several as holiday gifts. Please publish this book! I definitely want Waterside Cottages published now. I've looked forward to Waterside Cottages since I first heard about it, last year. I am so excited at the prospect of it's publication. I intend to order a copy and probably more than one. OH...NOooooooo....! There are TOO TOO many of us WAITING for YOUR book. PLEASE don't let us down, as we have anticipated Barbara's book for so so long now. It would be a HUGE mistake not to proceed with getting it published. And Waterfront Cottages is a title that has us ALL sitting here just waiting for our copy....!!! Barbara has such a following and everyone LOVES her STYLE...Please oh please don't let us down. I really hope this book gets off the postponed list! I know many of us are interested in it, and really would like to get it soon! Hope it goes well and comes out soon, Babette!!! Let me know when it hits the stores! Please publish Waterside Cottages!!! I'm an avid reader of Coastal Living magazine and I can never get enough. I will definitely buy this book once it's published! I look forward to getting your book on Waterside Cottages hopefully sooner rather than later!! I am holding good thoughts for your book and your publisher Gibbs Smith too! Barbara, I would love to see your book published and I would buy one! Also women who have a passion for decorating somehow find the money to buy what they love. May I say, we ALL LOVE decorating books and would love to see yours in book stores near you! Don't give up my dear, the artist in you must give life to its passion. This book will find a way! I believe it. Hi Barbara, I would love to see your book published. I was really looking forward to buying a copy of it for myself...In these crazy times, I take a lot of solice in beautiful things for my home and your book would definately be one for my coffee table. We have all been anxiously awaiting Barbara's book on Waterfront Cottages! Barbara is an extrememly talented Authur/Editor, who takes her work seriously and has left a trail of her unique legacy of writing skills and insights behind her for years. I'm sure that this book will be no disappointment for those of us who have followed her over the years in many magazines etc. We all are anxious to see her work published. Please don't keep us from seeing another unique book published that will add to the joy of seeing and feeling what she has been attempting to present to us through her new project of "Waterfront Cottages". If we can't be there let us feel and see it in her book. I'm sure that you won't be disappointed in the response to her book. Prices for purchasing Waterfront Cottages has skyrocketed. Does that tell you something? It's everyones dream to live, vacation or dream about Waterfront places.Some need idea's for creating their perfect atmosphere at their cottage or home. Then there are those who can't purchase or own a waterfront cottage. Please give us the privilage to dream and feel the experience through her book. We have been looking forward with anticipation for the publication of "Waterfront Cottages" for months! We hope it will be soon!! Please publish Waterside Cottages soon! I have really been looking forward to purchasing this book! Barbara, you have my vote. In an economy like this is when we need a book like this one the most. A beautiful coffee table book for us to pour over and distract us from our troubles. I simply cannot imagine waiting a whole extra year for this book to come out. Please publish it soon. There's no time then now to have this book published were all waiting to buy buy buy one!!!! My VOTE is for YOU to be published! We have been looking forward to this book being published. I think it will be a big seller! Y'all don't let us down. Barbara- please beg them to publish "Waterside Cottages" I can't wait to buy it. 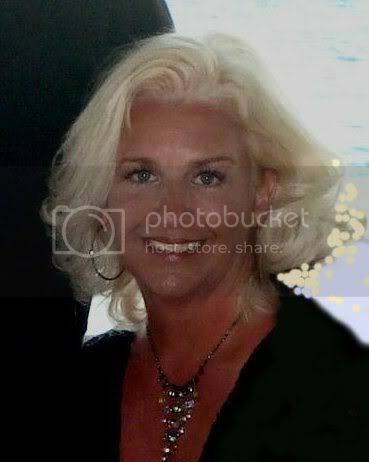 I am thinking about decorating a house near the beach in Long Island (when I can afford to buy one) and need your help. When the economy is bad we need something to dream about. Barbara - can't wait to buy the book. The economy is bad and I can't afford a house at the beach, but I can afford your book. You can put me on the pre-order list if you have one. Or should I ask Borders? I truly hope Gibbs Smith rethinks taking Waterside Cottages off of the postponed list, and publishes it this year. It is much anticipated, and in this economy it is just the thing needed for a restful stay-at-home vacation--especially for those not able to go away this year. I think the world needs beauty even in a bad economy - what a depressing place it would be if nobody had any aspirations and didn't get any inspiration - which this book will bring. And it's not only US buyers who would love it, I'm in Australia and coastal homes are extremely relevant here, with all our major cities being along our coastline. I'd love to see it published! 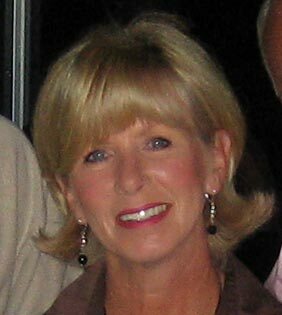 Barbara - We don't have many cottages in Florida so I would love to read a book on the beautiful cottages on your website. Please publish "Waterfront Cottages" soon!!! There are no books on cottages on the market and in talking to my friends, there is a need for one. My friends want copies of your book!! Your blog has just teased us all about what's coming in the book. I'm not sure we can hold out much longer! I do hope the pub date is pushed sooner rather than later. Barbara, your book looks AMAZING! Just the title alone will be draw for so many customers. Any book featuring cottages is so desirable now as we all seek to make our homes cozy and comfortable, and then to put it by the water?? Pure Heaven!! You're so incredibly talented and Dan is as well, we can't wait to see it hit the bookstores!! I live near very close to a lake and am looking forward to Waterfront Cottages. Please let us know when we can buy it! Absolutely, this book needs to be published! 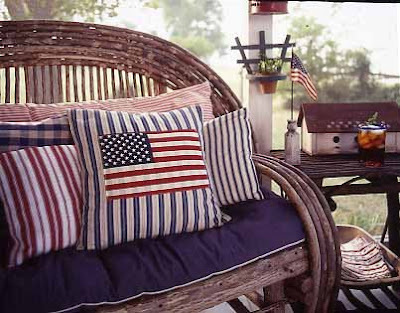 Coastal living style is at the heart of Americana, and cottage living. Many Americans have access to cottages handed down from generation to generation, and they aren't all rich! Beachy style appeals to so many homeowners who either live near water, or who aspire to bring a touch of that seaside feel to their homes. 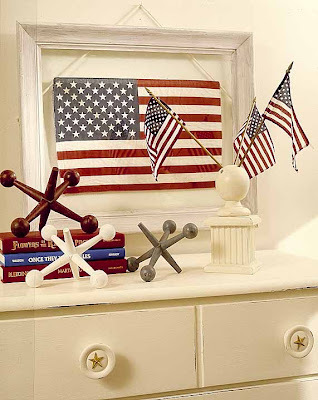 It is nostalgic, affordable, and often promotes decorating with elements of nature. What could be more appealing than that? I think now is the PERFECT time to publish the book!! 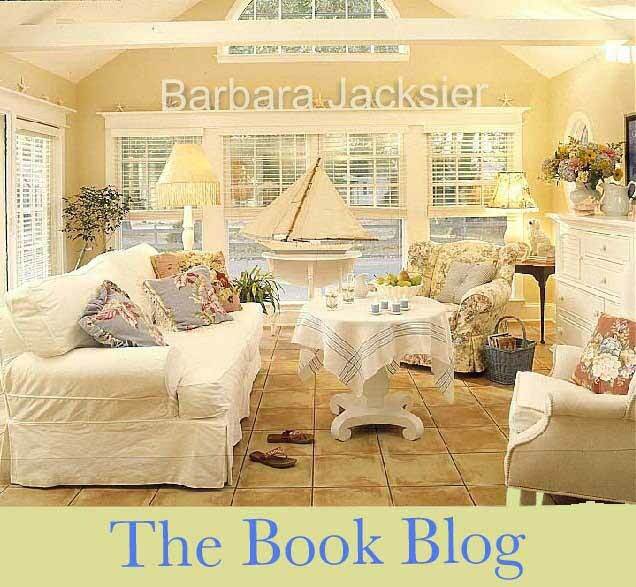 "Waterside Cottages" is a book we've all eagerly awaited as we followed Barbara Jacksier's blog. Given the many years Barbara spent as an editor of countless magazines, with a whole host of readers just salivating for yet another publication by Barbara Jacksier, I think it would be pound wise and penny foolish of Gibbs Smith to postpone the publication of this much-awaited book. As so many have said before me, in times of adversity, people turn to beautiful pictures, and lovely reads. Don't wait another year! Publish it NOW! Barbara! We all have been looking forward to your book with so much anticipation. I hope Gibbs Smith changes their minds and releases it soon so we all can enjoy it sooner rather than later! I know you've worked hard to have your book published and your readers should vote to have it published!! Sometimes in this economy the only thing that gets me through are the books that I buy. If I am limited with what I do because of the economy, at least I can look at books and wish or plan or dream! We've been looking forward to getting the book for a long time, and planned to get copies for holiday gifts. And we have several friends who we know will be interested in the book. Hope it comes out soon. I am speaking for many on the Gulf Coast of FLorida when I say that we are all anxiously waiting for Cozy Waterfront Cottages to be published! We could all use a new and refreshing book during times like these. I would be very disappointed if your book did not get published. Please add me to your list of people that would love to see it as soon as possible. 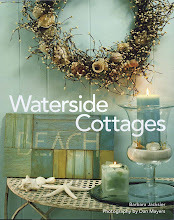 I have been following and awaiting the release of Waterside Cottages since it's inception! There is a hugh following of this decorating style AND for Barbara and Dan's work! How can they delay on publishing a fabulous book like this??? Good luck Barbara! I am rooting for you!!! It would be a pity if the publication of your book is delayed. I hope to find it on the bookshelves in the local stores and on the online sites soon. I've really been looking forward to your book. I would love to see Waterside Cottages published! Even during the severely troubled economy of the Great Depression, people needed something to lift their spirits and continued to go to movie theatres to find a bright ray of hope. This book can be the same kind of bright ray of hope for many individuals during our current economic downturn if it is allowed to be published! Please let it be published so we can all look to brighter days ahead!!!! My mom has two kinds of cancer and congestive heart failure.Our home was in forclosure because her meds are so much money...even after insurance.I take care of my Mom..and the thing that has saved me is every two weeks I make the hours drive to the bookstore. I buy a decorating book and decorating magaines.The answer is not to stop creativity. A book is an escape..we need all the good books we can get.Good ideas are in books and bookstores..If you truly stop publishing good books...what is left? Oh yes! I must have this book! We've been waiting and waiting - now we're ready to read, drool and enjoy!! Hi Barbara, I vote for you and your new book to be published sooner then later. Waterside Cottages has been dreamed about and long awaited. I say to the publishers, don't miss the boat on this one. Too many are waiting to putchase this book. Big Hug to you Barbara and sending up a few prayers too. Please forward my vote on to the publisher for printing the Waterside Cottages now instead of delaying its being printed. I had looked forward to this book coming out as I used to live by the seashore & adore seaside cottages. In these trying times of a weak enconomy books are uplifting for our souls & give us a chance to escape & enjoy beautiful things. Please print this long awaited book for us to enjoy!!!! Please let the world's population get their hands on this book! Barbara Jacksier and Dan Mayers have created many beautiful magazines together and I am anxiously awaiting the arrival of their newest endeavor, Waterside Cottages! Working in the mortgage business in S. Calif. I have seen, first hand, just how our economy has been adversely effected by so many factors these last few years. I can also tell you that since people cannot afford to buy-up or refi, they are turning to home improvements to increase their home's value and also to make it an oasis where they can escape the turmoil of the outside world. A book, such as "Waterside Cottages" would provide tips for all the do-it-yourselfers looking for just the right inspiration to improve the home's look while boosting their morale. BUYING keeps the economy going and staves off recession...we want to buy this book!!! I am anxiously waiting for your book Waterside Cottages to be in the bookstores. I have mentioned it to all my friends here and overseas, and they are all interested! I do hope Mr. Gibbs Smith decides to publish it. I want your Waterside Cottages to be published. I am very looking forward to your book and getting it to give me some ideas. Dear Publisher, I will just die if you don't publish this book, Waterside Cottages. This has been a long anticipated project and I am still planning to purchase a copy when it is published, and I hope that is SOON! Please tell Mr. Christopher Robbins that I would love to see your wonderful book published as planned and on schedule. There's never an economy so sluggish that beautiful books won't be appreciated. I've so enjoyed seeing your beautiful photographs... Thank you for sharing them. Barabra, I think Gibbs Smith is making a mistake in postponing your book. I'm sure that this book would be a hit if given the chance! I just can't wait any longer for your fabulous book! I look forward to getting my hands on a copy soon! On behalf of Barbara Jacksier, and as a member of the blogging community, I would like to ask you to please reconsider the decision to postpone the publication of her book, Waterside Cottages. As you know, decor blogs have become extremely popular with devoted readers that number in the millions. This particular blogging community does not hesitate to strongly endorse and advertise those publications that we are enthusiastic about and word spreads like wildfire throughout "Blogland" about which books are a must-have for our coffee tables and personal libraries. Barbara, a respected and much admired member of our blogging community, has generously shared about her new book with her readers for the past year. Because this IS Blogland, the anticipation and excitement about her new book did not stop with just HER readers. No, the excitement over Waterside Cottages spread throughout the entire blogging community and her new book has virtually already been "sold" over and over again. A built-in customer base already exists, that perhaps the publishing industry may not be fully aware of yet due to blogging's relatively new-found popularity - but it is a reality, indeed. I have no doubt that even in a weak economy Waterside Cottages will fly off the shelves due to the blogging audience. I am sure that the millions of readers that we bloggers share between us would agree. Please allow us the opportunity to purchase a book that we have been very excited about and one that we will be more than happy to share with our readers. I think you will be very pleased with the results. Thank you very much for your consideration. I look forward with much anticipation to owning Barbara's book. Oh Barbara, I hope our messages will reach them in time so your book can be published! Well I declare...even though the economy is in distress we ladies will always manage to fulfill our Waterfront Cottage ideas from the wonderful and talented Barbara! 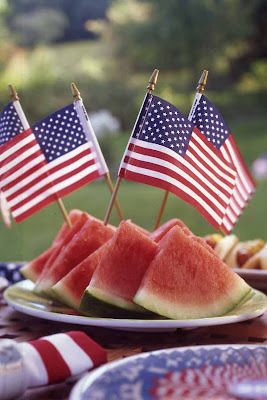 Pleeeeeeeeeeeeeeeeeeeeeeeeeze I for one can not wait..I'm right in the midst of a backyard redo for heaven's sakes!! Your huge following has been patiently waiting for the chance to celebrate the beauty of Waterside Cottages. I believe no one should wait so long to see your book.You have a sure vote from me. I don't know if I will be able to find it in Serbia, but Mr. Publisher you have to publish it for all my American friends!!!!! We in Europe want it too! Hope you manage to get Waterfront Cottages published sooner. Looks like lots of people are waiting for it.You come up with such lovely designs. I am very sorry to hear this news, as I, for one, could not wait for this book to arrive. I subscribe to Coastal Living, and have for years, and cannot wait for its arrival each month. That is how I felt about the book, Jackie. I do hope it gets publishe SOON and it will be placed on the coffee table of our little island cottage, located on Dauphin Island, Alabama. Oh, I hope they do publish it! I've really been looking forward to reading it because my dream is to have a waterfront cottage. I think we have all been eagerly awaiting the publication of your book -- we know how beautiful it will be! I, for one, could really use a dose of that beauty lately. PLEASE PUBLISH WATERSIDE COTTAGES NOW! In these troubled times, with worries over the election, the economy, the war in Iraq and rising prices on everything! it's a wonderful respite to get lost in a book with beautiful views of lovely places. So many of us have waited anxiously for the debut of Waterside Cottages-please reconsider the immediate publication of this book. Our souls need it! Barbara- How could they deprive us of such a wonderful book? With the purse strings a bit tightened, a whole room (or house) makeover is not usually feasible. But, for the cost of a book, we can be inspired to look at what we do have with new eyes and create a space for our families to enjoy, with very little $$ spent. Never doubt the power of a well-thought photograph to get someone's creative juices flowing. I vote YES! for your book to be published. I would love to see your book published! Please, PLEASE publish this much awaited book soon. I would love getting one for myself and a few more for gifts. Barbara--I definitely think your book should be published soon. I have been looking forward to it and can't wait for your next book also. I would definitely be in favor of a coastal cottage book & would love to have it published sooner rather than later. Most of us into nesting for our homes love a good book & I know this one would fall into that category for me. Exactly BECAUSE the economy is bad is the reason we NEED this book published. People are looking for ways to enhance their homes and more people stay at home than ever instead of traveling etc. Low cost ways to do this would definitely be appreciated. Publish NOW! Barbara~ You definiely have my VOTE! I've been waiting for my book, I DON'T WON'T TO WAIT YEARS FOR IT...I WANT IT NOW! Thanks to you for picking our home in Texas for Cottage Style Magazine...the magazine was closed before we were featured. But we were luckly to get in Country Almanac...Thank you again! I sure would like to see your book published now. I think books as yours are definitely things that people buy in any economy. Possibly a person may delay decorating, but they never delay dreaming. Hoping you will notify us soon where we can purchase your book! I think the amount of comments you have speaks volumes! This is definitely a project that should go ahead as planned. I've been looking through your blog since you left your lovely comment, and I love your style. I hope your publisher manages to squeeze it in - you have so much support out there (and this is only the peeps who choose to comment!). PLEASE Roll Off the Presses WATERSIDE COTTAGES - ASAP. I don't want to wait any longer for this great book. I've been planning to give this for Christmas Gifts. I'd love to see Waterfront Cottages very very soon. I'd like to have it!!! Please don't delay the release of this book...we want Waterside Cottages to be published now!!!! Let's have this be one of the books published this year!!! Thank you for stopping by. I hope the weather passes you by soon. I pray that the publisher changes his mind. I still buy books like crazy even if I have to give up something else. Love my books and this one sounds right up my alley. I need WATERSIDE COTTAGES to be published. My Coffee Table is just waiting for it's place of honor! I've been watching the progress of Waterside Cottages and I can't wait to see it in person. I would be happy to help stimulate the economy by purchasing WATERSIDE COTTAGES. Barbara and Dan are a Dynamic Duo when they get together. Their work is the Best! I'm thinking about redecorating my cottage. Waterside Cottages would be such a big help! I can't wait to read it. Barbara, I really want your book because I am going to give it to Mom as a Christmas gift. Tell Mr Gibbs that I would like the book, Waterside Cottages to be published now! I'd love to see your Waterfront Cottages book published. You are an amazingly talented writer who deserves to have her work shared with the world! I'm so disappointed to hear this news! Please share with your publisher that it is when the economy is weakest that people look for "little treats" while forestalling major expenditures....this is something the cosmetic industry has known for decades (can't buy an expensive outfit/buy a lipstick). The same holds true, certainly, for "dream books" like this! As for myself, I've been dreaming of that waterside cottege in Maine (just came back from a house-hunting trip). I may not be able to afford it right now, but I CAN afford to dream over your long-awaited book....and I CAN'T WAIT FOREVER!!! I have been looking forward to buying several copies -- for myself and for gifts. Please, please, please do whatever you can to get Gibbs Smith to release that book soon!!! I HAVE BEEN WAITING FOR LOVELY BARBARA`S BOOK, TO BE PUBLISHED, SO I CAN GET A FEW COPIES FOR ME AND MY FRIENDS AS CHRISTMAS PRESIES! I`M SURE THAT THE "THE WATERSIDE COTTAGE" BOOK WILL BE VERY SUCESSEFUL... SINCE BARBARA IS SUCH A TALENTED AUTHOR/EDITOR! FOR NOT HAVING THIS BOOK PUBLISHED YOU WILL BE "ROBBING" US OF A GREAT SOURCE OF INSPIRATION AND JOY WHEN READING IT! Mr. Smith, please reconsider the publishing date for Barbara's new book; Waterside Cottages. We were all anticipating it's arrival. I am noticing that the public is still spending lots of money on things that make us smile - because we need it. And there is such a big move to taking vacations near-by, to save gas and money. Let's encourage interest in WATERSIDE COTTAGES. The book looks refreshing, and de-stressing. It would do very well. American Primitive Folk Artist, Assistent Editor and Writer. As I look at what is going on in the economy it seems like a great time to publish your Waterfront Cottage book. It's a buyer market and and we are currently looking to pick up a summer home/cottage and would love tips from your book. Also, people who own their homes/cottages are going to put their money into their money into fixing it up. If it were a book on why to buy a Hummer, then I would understand their decision. I have been anticipating this book being published! I love your style and the information you provide as well as the vivid pictorials that spark the creative imagination in decor and design. This book NEEDS to be on my shelf! Barbara - we have been waiting years for this book - Gibbs-Smith needs to take another book - it will be fabulous and a great seller! I would definitely love to see your book published now. Despite the bad economy people still need to escape from all that! What nicer way then with your beautiful book. I am so very anxious to read Waterside Cottages. Please do not postpone the printing of this much awaited book. Please, please publish 'Waterside Cottages'. In todays economy I may not be able to refurnish my house but I can afford to daydream with a book. 'Waterside Cottages' will soothe and satisfy me decorating soul. Please roll the presses for Waterfront Cottage....I have waiting to purchase as soon as I found out about it! We've been waiting for Waterfront Cottages in CA for a long time! I know your work is always beautiful and tasteful and we're ready NOW! We are looking so forward to your book and are hoping to give to our lakeshore friends as gifts. I would definitely buy your book if it were published. My DH and I have given up on our dream beachfront condo in this economy and are now actively looking at lakefront homes under 1800 sq ft. Your book sounds like what we'd use for decorating inspiration! You know I have been waiting for your book! Just the few images I've seen are so inspiring. PLEASE print this book, Gibbs Smith, before someone else does! Our styles seem to come and go.. I live in a waterfront community (especially after a hurricane)..and need all the ideas I can get. I definitely vote for Barbara. I will buy Waterfront Cottages and truly treasure it. Publish it soon Please! I am a fan of cottage decor and look forward to Waterfront Cottages. Please publish soon! Barbara, I can hardly wait to get your new book, Waterfront Cottages. Just the right book for these times! In a tough economy we all need to snuggle up with a beautiful book and spin a dream for the future. I hope your publisher will reconsider...we need your book now! I live in Ohio, but really would like to read about "Waterfront Cottages"...publish, please! You have my vote. Gibbs Smith PUBLISH THIS BOOK! Well of course, I love seaside cottages! I can't get enough of them, and I am sure your book would be a must have! It's so disappointing when something that has been worked on so diligently and lovingly is put to the side through no fault -- other than a decision based on someone else's "numbers". I would very much hope that the publishers re-think this decision and proceed as promised. If your book is anything like the magazines you've been a part of I can't imagine it not being a huge success! I, too, believe that people will be cozying up with more books this winter and spring! Your incredible talent and God given gifts make us all look forward to your new book, Waterside Cottages. There is nothing more peaceful than living by the sea . . and many of your "fans" from Romantic Country are counting the days until your new book is published. The Beach Cottage look is very popular in Florida and would sell off the shelves! We will start a prayer chain - those work you know! God Bless You, Your Family, Your Home, and Your Book! Please publish Waterside Cottages!!! I'm an avid reader of Coastal Living and am looking forward to seeing Waterside Cottages in print. I can't imagine why it would have to wait to be published! In this economy, we need this beautiful respite! Love, Love, Love the idea of this book! I can't wait to find some new ideas! Publish this soon! I've been following your blog whenever I log on my computer. Your blog is so informative and educational. Today I found how you influenced your readers through your many wonderful publications. My thoughts and desires are the same as most of your blog readers comments. I know you took several research trips to come up with your own unique "Waterfront Cottage" book. It's shame if we do not to get see your one of kind Waterfront Cottage book. I belive water and earth are nature's gift to us. I am looking forward to the Wterfront Cottage book to see how you will connect these two nature's gifts. I hope your book will be put back on the "Let's Roll The Presses" List at the top! I'd love to read it! Keep a good thought! I would love to have some copies of your Waterside Cottages as holiday gifts! I hope your publisher changes its mind and goes with rolling the presses right away! I was sooo looking forward to buying this book asap!! I hope the publishing will not be postponed...what are they thinking!!! Buying your beautiful book isn't causing a hardship on us...it's the price of gas, food and paying such high taxes!!! Would love to see your see your book printed so we can all enjoy it! Barbara~I just learned of this wonderful book and would buy it immediately. Waterfront Cottages looks like a lovely book. I hope Mr. Smith reconsiders any decision to not publish at this time. You bet I'm going to click. I love your work, Barbara and my friend, Michelle's house is featured too and I so love Roberta's style as well. There you got it talent, talent and more talent. I'll do you a "favor" anytime. I had already received approval from Michelle & Roberta for their signatures and was planning on asking YOU next but was a little shy - forget that now ;) I'll gladly ship it if you agree, or attend one of your signings. I've been planning this since Michelle told me about it. Did I say, count me in enough? Love the Ralph Lauren sweater, by the way - perfect! I believe your book should be published soon. It would make a lot of people happy to buy the book as Christmas presents. I know 3 people I would buy this for. I think you have a best seller on your hands!!! Please publish the book ! Please, let me know when your book be poblished. Thanks for stopping by my blog! You should definitely make some Mary Janes. I'm now looking at every scrap of fabric that comes my way in a new light...and I can certainly see some of my vintage buttons being put to use on my feet! I've been waiting to see Barbara's book come out for some time. Being a water/cottage person from the South coast of England. I'm hoping to purchase copies for family/friends on that coast - thought the book would be a perfect gift. Books of art and beauty are what help people make it through these tough economic times. Teel the publisher they are missing the point and publish the beautiful pictures. we need more coastal style mavens!!! Oh Barbara, Gibbs Smith has GOT to publish your book this year! I've been looking forward to it for so long, and it is on the list of things I wanted to buy several people on my holiday shopping list. I subscribe to your feed and look for news of the book every time you post. It makes me sad to think that this publisher can be so short-sighted as to think that the book-buying public wouldn't need something like this to keep them cheery during difficult economic times. I may not be able to afford a waterfront cottage myself, but I can sure enjoy - and learn from - the ideas of others. Don't make a mistake of a lifetime...There are thousands of us women itching for this book to come out!!! Do you know who Barbara Jacksier is? She has a CULT following from her days at Romantic Country and Cottage Style...I mean we love her and we want to get that book in our hands like yesterday not next year. Yes the economy is bad and gas and groceries are ridiculous but guess what? We want an escape from all that and we know that Barbara's book will deliver. It is not just another book! It's Waterside Cottages by our beloved decorator/editor Barbara Jacksier and we all want to escape there NOW! So get the presses rolling pronto! HURRY, HURRY HURRY...we can't wait!!!!!! I look forward to seeing your book, and hope it published soon! i too would love to buy your book..i'm all about the beachy cottage look and i love your style...I do hope it gets published soon....because I'm buying for sure. Your book sounds wonderful and just look at the list of people waiting to buy it! I hope it is published soon. My wife and I are searching for our first Jersey Shore home. As a fan of Ms. Jacksier's magazine work, we've been anxiously awaiting "Waterside Cottages" for design ideas and inspiration. Please don't make us and other readers wait another year. I'd like to see "Waterside Cottages" atop our new coffee table. WOuld love to see this book! I would love to see your book when published. I these hard times I often escape into the pages of a decorating book and dream. It is a very affordable luxury and I cannot wait to see Waterside Cottages in print! Oh Please, please publish this book now!!!!! I think it looks like a wonderful book. Publish it now. Your Book should be published as soon as possible, especially in light of the troubled economy. Now is the perfect time because when times are tough, economically or any other way, that's the best time to move ahead and push forward, not stop and question. Your book could start a whole new niche in the 'book world'. I know I will buy your book even though the economy is not what it should be. Be Positive and stay focused. I would love to see Waterside Cottages published sooner rather than later. I understand economic pinches, but perhaps what the publisher doesn't understand is that psychologically in hard times people are looking to "dream" and think about the future and better times. What better than a beautiful architectural and design book? Dear Barbara, I am so looking forward to your book, Waterside Cottages! Please let me know as soon as it is available! 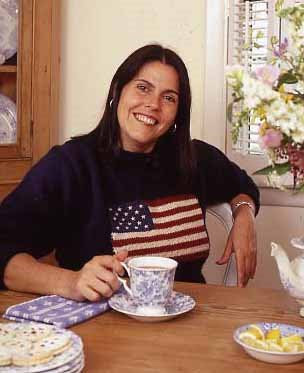 We are currently renovating our home, and I have gotten much inspiration from magazines and books like Barbara Jacksier's. I would most definitely buy "Waterfront Cottages" for myself and as a gift. "Cottage" is my thing! Please publish this book ASAP! I'm looking forward to getting my very own copy and I have several friends who'd love to have it! My wife and I exchange books at Christmas time, and "Cozy Waterside Cottages" is the one at the top of her wish list. What do I do now, Gibbs Smith, wrap up some coal? You've got a gem on your hands - share it, don't bury it again! Barbara, you already know your book is great and should be published. I hope your publisher figures it out soon. Until then, I'll just have to practice my juggling while I'm waiting. This is the look I've been trying to achieve for so long, and never really getting close. I...WANT...THIS...BOOK!! Mr. Publisher, don't keep us waiting!! Please tell your publisher I was really looking forward to seeing this in print, now they want us to wait? Your photos and ideas are great --I need to have this book! Don't publishers "get it" that in a weak economy we need to dream and lose ourselves in good books? I would love to read this book. I am looking forward to seeing the beautiful photos and designs you've collected, and I enjoy your friendly style of writing. If there's anything else I can do to help, let me know. I would like to see waterside cottages printed and the beautiful of this book, as well as its author, shared. I would really love your book to be published ... after reading all of these comments, I hope your publisher will change his/her mind and publish your book as scheduled. I know I'm definitely interested in it! Please add me to your list! I have been anxously awaiting news of the publication of your book and am saddened that the publishers would choose it as one to wait on. I find especially during tough ecomonic times that this is when we NEED a diversion from everyday life. I know your book will offer fabulous photos of those tranquil places that we all desire and so much more! What a beautiful and unique way of looking at the world around us. Oh I do hope your book is published soon, as I will certainly buy it! Oh, what a shame! Coastal decorating has such a big following, and there really arent that many books available to those of us that love it. Please please big publisher, let us have it now! with the current times being "tougher" than we have experienced in the recent past, readers need more inspiration and your book is the perfect "retreat" many of us need. I wholeheartedly feel your new book not only should be, but needs to be published!!! There is such a need for uplifting books like this right now. I will definitely buy a copy - and the sooner it is published the better! I eagerly await for Waterside Cottages! 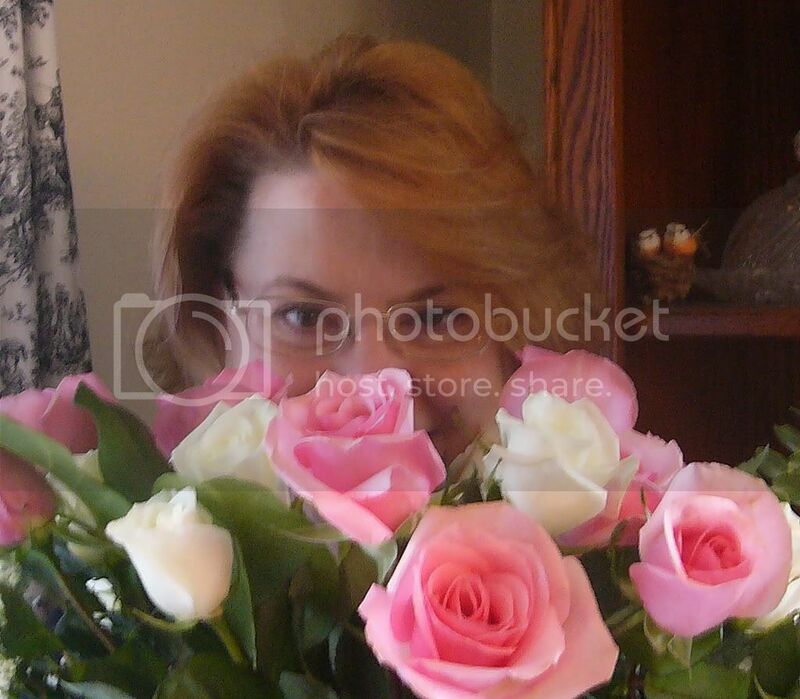 Dear Barbara, thank you for passing by my blog today! So much great stuff here that I'll have to come back to get a good read! This book will be a terrific gift for my fiends and family.....I'm loking forward to having a copy myself. Publish this already! Yes, Yes , Yes, please publish Waterfront cotages as soon as possible. We would love to have it NOW!!!!!!! Can't wait for this book to come out! Hopefully we can add it to our library at the architecture firm I am at. I CANNOT believe I called you 'Jackie' in my earlier post. Please forgive me. I am all in a fast tizzy packing for a trip to Greece next week. My mind is running in many directions, however, I so embarrassed myself by using the wrong name. Again, I so hope your book is published soon! Why would anyone not want a copy of a great book by a great person. I found you at A Haven for Vee and am excited to explore your page. I look forward to your new book as I have enjoyed much of your previous work. I'm excited to see what the future holds for you and your work. We've been waiting and waiting for this! Please don't make us wait any longer! I and I'm sure other bloggers will be willing to promote her book on our blogs as soon as it comes out! Free advertising! Thos book looks wonderful and I have been waiting for it to come out! Barbara is wonderful. If Barbara's book is 1/2 as lovely and colorful as her blog, we are in for a wonderful treat! Your book is lovely and will be a welcome addition to anyone's shelf. I look forward to seeing it in print. Wow, Congratulations on your book, that sounds exciting! You sure have a lot of comments here, what a popular blog you must have! I wanted to say thank you for such a nice comment on my blog. I love knitted lace, it's so pretty and I forgot to take a picture of our lace knitter at the guild to represent that form of lace. How neat that you do that! Oh please publish this book now! I have been looking forward to to it since I found out about it months ago@ In a touch economy, we could all use something to take our mind of things and enjoy! For so many of us, this book would do just that! THIS WONDERFUL BOOK NEEDS TO GET PUBLISHED ASAP! SO WE ALL CAN ENJOY IT! WE CAN`T WAIT, MUCH LONGER!!! Tu as mon vote ! ces quelques images laissent présager de bien jolies images à venir ! I can't tell you how much I looked forward to the publishing of Watherfront Cottages. I have been a follower of every magazine you have been a part of. So I am casting my vote for this new book. Good or Bad economy every publisher needs to pay close attention to what women want. And we want this book published! Weak economy or not - we design addicts don't stop reading and enjoying shelter magazines and books! Your book must be published right away - it sounds like a great one!! I hope it will be available sooner than later!! Barbara - I hope your beautiful book, Waterfront Cottages, gets published soon. Despite the economy, beautiful decorating books are therapeutic for the soul! 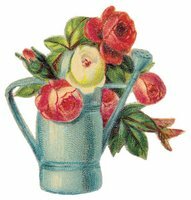 The web site also features coastal decorating articles, slide shows, beachy recipes, craft ideas, and exclusive handmade creations.